Christmas is all about the kitchen and with our season ending sale, you can load up on all the necessities for next holiday season. Click HERE to find our nearest House Of Presentation outlet to you and HERE to view FLIPBOOK catalog. 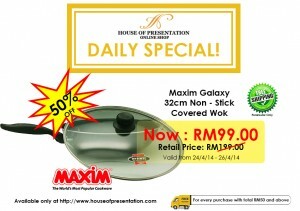 What is Special About Maxim Non Stick Cookware? 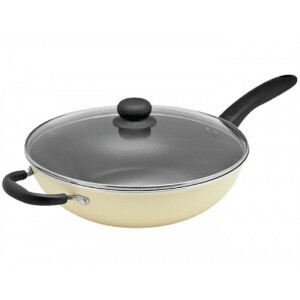 – Maxim Teflon Non-Stick cookware is signed, Sealed and Certified By DUPONT. DUPONT one of the world’s largest chemical company invented Teflon Non – Stick since 1938. 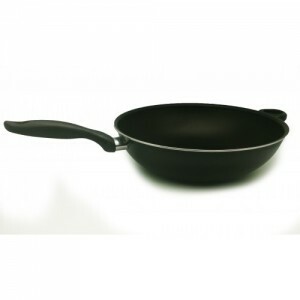 – The Teflon Non- Stick has conformed to US F.D.A Standards and has been accepted as safe for food contact use. 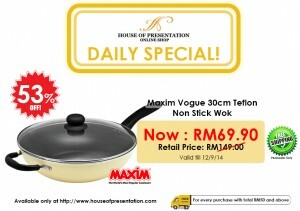 Why Buy Maxim Non- Stick Cookware? – Non- Stick cooking and Frying. – Healthy Cooking-Low fat and Low Cholesterol Cooking. – Faster,easier clean up without scrubbing or soaking. – Save oil, Save water , Save gas. – Reduce risk of burning. 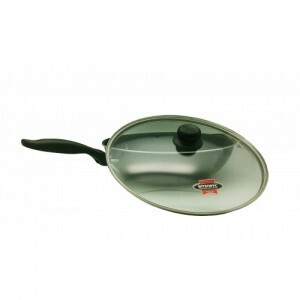 Teflon Classic is a non-stick coating which has been designed especially for regular use. It guarantees great performance and uses an advanced system of application with a double layered non-stick surface.Teflon Platinum is the most resistant, anti scratch and anti abrasion coating ever produced by Du Pont. This coating even resists the ill effects of metal spoons. Applied in three very thick layers, this coating contains particularly hard microscopic mineral particles. The Vogue collection is the premier of all Maxim® Teflon® Classic-coated cookware as it features cream colored silicon polyester exterior with comfortable soft grip handles and unique belly shaped body. You can even cook all your dishes using the same cookware without washing after every dish. Just wipe with a paper or cloth towel and proceed on to cook the next dish and so on. – DUPONT TEFLON CLASSIC NONSTICK INTERIOR for easy clean-up & healthy cooking. 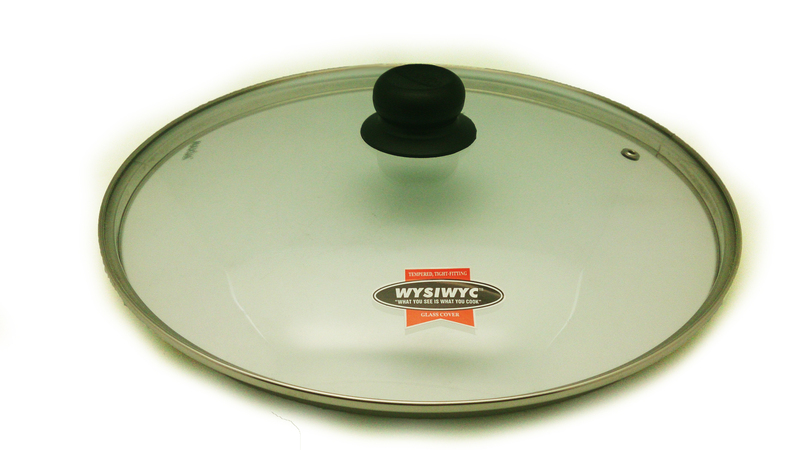 – HEAVY GAUGE ALUMINIUM BODY for fast & even heating throughout pan. – ERGONOMIC PHENOLIC HANDLES for comfortable stovetop cooking. – SPIRAL BASE for better conductivity & even heating. – WHAT YOU SEE IS WHAT YOU COOK . It’s equipped with crystal clear glass cover. 1 – Before tge first use – wash, rinse and dry cookware throughly. Then condition by wiping surface with cooking oil. 2 -Only use wooden, nylon or rubber utensils. 3 – Clean using only only soft sponge. Avoid abrasive cleaners and scouring pads. 4 – Remember to always use low to medium heat for cooking. For the sort time needed to final stir frying, using high heat should not affect your non-stick. It is the persistent use of high heat that causes staining and damage. 5- For longer life span, allow cookware to cool before washing. Wipe the non-stick surface with a little cooking oil. This will prolong the lifespan of the non- stick. – Wash the cookware in hot soapy water, using sponge or dish cloth, rinse and dry. – Condition the non-stick surface with cooking oil to preserve the easy release quality. – Never heat an empty cookware or allow it to boil dry. – Plastic or wooden cooking tools are preferred. – Never cur in the pan/wok. – Always wash the cookware after each use. – Never use steel wool, scouring powder, pads or abrasive cleaners as these may impair the efficiency of the non-stick interior. – Although your aluminium non-stick cookware is dishwater safe, the harsh conditions of dishwasher care can impair the appearance of performance of this product. – Hand washing is recommended. ELECTRIC STOVE TOPS ARE CAPABLE OF HIGHER TEMPERATURES AND GENERATE HIGHER HEAT. MEDIUM HEAT IS RECOMMENDED. PLEASE USE EXTRA CAUTION WHEN COOKING ON A HIGH TEMPERATURE. 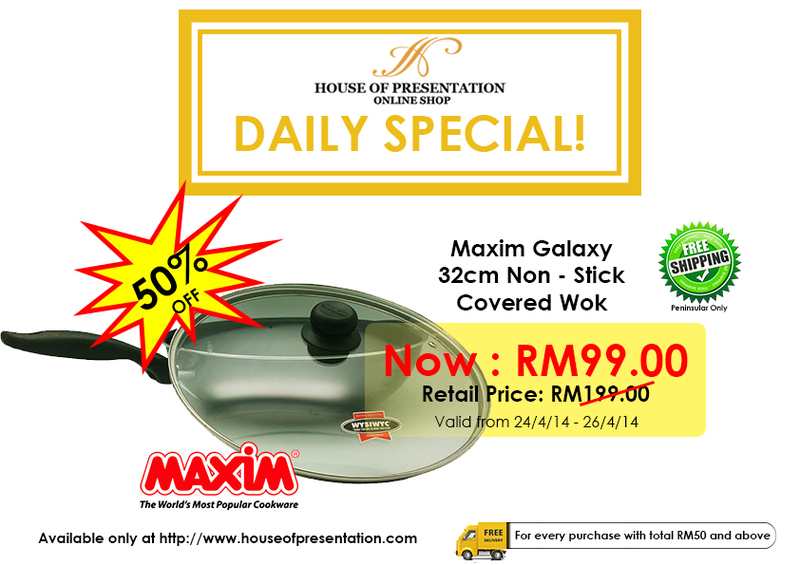 50% OFF – Daily Deal -Maxim Galaxy 32cm Non – Stick Covered Wok- Valid From 24- 26 April 2014. -The Teflon Non- Stick has conformed to US F.D.A Standards and has been accepted as safe for food contact use. – Reduce risk of burning.You can even cook all your dishes using the same cookware without washing after every dish. Just wipe with a paper or cloth towel and proceed on to cook the next dish and so on. Click HERE view the promotion. The Friuli jumper has left the London World Cup in qualifying: three errors at 1.92 and end of the high failure.